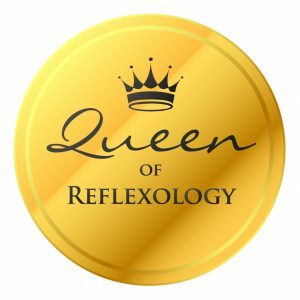 Today is a very special day for me, as I celebrate 10 years of qualifying as a reflexologist and establishing my business. It’s a great opportunity for me to celebrate and acknowledge this incredible achievement. “According to the last ONS study into the area, only 44.1% of startups survive beyond five years, whilst a recent study by the insurer RSA suggests that 55% will fail to make their fifth birthday.” (Source: simplybusiness.co.uk). So, I have beaten the stats! I made it! Since qualifying, I am proud to have built a great reflexology client base within Leicestershire; grown my business to move it away from a home treatment room to a rented space; established the Love Reflexology Community and Directory to support reflexologists from around the world; and more recently have become a mentor to support other practitioners. I truly love my work and being my own boss. Of course we all have challenging days, but these are far outweighed by the rewarding times when you witness the difference you have made to a reflexology client, or you see a mentor client thriving in their own business. I have lots of plans for 2019, including a new and exciting business feature to support complementary healthcare practitioners. I cannot wait to share this with you very soon. Be proud – Always be proud when talking about your work to friends, family and strangers. If you are proud of your business, this will really shine through and create excitement about it. Remember, if you are not proud and excited, why should other people be? Get a website – Many practitioners work from home and don’t have a shop front which members of the public can see – practitioners have to work hard at getting noticed. A website can give you a virtual shop front to inform and show people what you offer. Think about each time you are looking for a new service, is the internet one of the first places you turn to? Most people turn to Google and search within their geographical area, so if you don’t have a website, you are going to miss out on potential new clients. When setting up your website remember to make sure it is a true reflection of you and your services; check there are no spelling mistakes as this is the first impression of your organisation – it is always worth asking someone to proofread it for you. If you don’t feel confident setting up your own website, employ a professional company to do this. It is worth the investment. Be Social – Social media is everywhere, and a huge part of many people’s lives. It is a fabulous tool for businesses, and for me has been a huge part of my business growth. Decide which platform you want to invest time in – which one suits your business best? Think about and establish which social media platform(s) your clients use – there is no point investing time, for example, on Twitter if they are all on Instagram. Once you have decided which platform(s) you want to focus on, plan your content and make sure it is engaging and relevant to your clients and potential clients – this will keep them coming back for more. Finally, remember don’t just focus on getting followers or likes, it is engagement which matters, and building positive relationships with people online. Make sure you always reply to users’ comments, ask them questions, and engage with them… this is how new bookings and relationships with our clients are made. Value your time – Working in a caring profession, many practitioners often feel uncomfortable about money, and valuing their time. There is often the assumption within our industry that we should volunteer our time for free, and we offer this therapy more as a hobby. Practitioners do need to be more business-minded so the public take us seriously. Don’t feel guilty about charging a suitable fee, remember your training, your business running costs and the fact that you do deserve to pay yourself a wage each month. I am always amazed at how many practitioners don’t pay themselves a wage every month, or regularly discount their prices to attract new clients. Remember, you are worthy, and do deserve to earn a good income. Stay Inspired – Remember that feeling you had when you carried out your practitioner training… that feeling of excitement and your thirst for knowledge? Keep that feeling alive by attending regular CPD courses, area group meetings, conferences and meet-ups with other practitioners. It will help you to keep your business and your ideas fresh. This new burst of energy can help you to attract new clients and grow your business further. I personally felt so excited and inspired following the latest conference hosted by Sue Ricks and have been bursting with new ideas ever since. Rent a Space – One area which really helped my business to grow and for me to develop as a business owner was renting a space. When I first established my business, I worked from a home treatment room, which was incredible and gave me a great start. However, I felt isolated and at times found it difficult to switch off from work. Moving my business to a rented space not only allowed me to be around like-minded colleagues, but gave me greater visibility. My client base has grown significantly during the past three years, as I have welcomed many new people to my new treatment room. Finally, it helped me grow in confidence. I guess I felt more professional and it allowed me that separation I need between work and home. Have you considered renting a space? What could it do for your business? Ask for Help – As a small business owner you will all wear many different hats from a reflexologist to social media manager to a bookkeeper. Let’s be honest, there will be roles you simply do not have the knowledge to carry out the task or even the time if you are busy with clients. Never be afraid of asking for help and using other businesses to support yours. Asking for help is not a weakness; it shows great strength and will allow you to focus on the areas of your business you really want to. Use Facebook groups such as Love Reflexology to discuss ideas, attend area groups as another resource for support… but please don’t feel you have to do this alone. Think About Why You Started – During your time as a business owner you will have days when you feel fed up – think about the times when a client fails to turn up without explanation. It can leave you feeling frustrated and worried about where the next bit of income is going to come from. During these times remember the reason why you started; what was your motivation? Keep this in your heart at all times and use this frustration to plan new goals and marketing to move forward with your business. Many reflexologists know that my motivation for training to become a reflexologist was to support and help people with reflexology, in the same incredible way it had helped me following the death of my brother John. If ever I am having a day where I doubt myself or my business, I think of him and the reason I wanted to train, to make a difference… this soon gets me re-motivated and raring to go. Enjoy – Enjoy every twist and turn of being a business owner. Celebrate your achievements, accept the failings but most of all enjoy how incredible it is to work in a profession which makes such a positive difference to so many people’s lives. For me that is the perfect reason to celebrate and enjoy my work. What tips have worked for your business? Add them in the comment box below, I would love to hear from you. In memory of my dear brother John; my motivation and inspiration for wanting to make a difference. Very interesting and thought provoking. Definitely food for thought. Thank you for your comment Julia, I am so pleased you have found it interesting. Never a regret journeying into this lovely business. Feeling blessed to be part of an inspiring global family of holistic therapists. Thank you for your words of wisdom and support Kelly. Thank you for your inspiring words. Your brother would be proud of you. Thank you for your comment about Love Reflexology, and my work. Good luck with the rest of your studies. Thanks for sharing these Kelly. I will remember these when I start my business in France . All the best for the next 10 years! Thank you for your lovely comment. Good luck with the start of your business in France. Do keep in touch, and let me know how you get on. 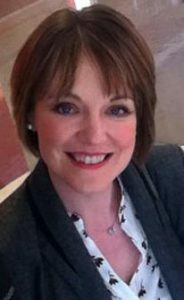 Very good counsel, thanks Kelly & congratulations on your 10 year anniversary of your Reflexology business; your transparency of your journey is inspiring & helpful! Thank you, Nancy for taking the time to comment on my post. Wishing you every success for 2019.